The SMOK TFV8 Baby V2 Coil is desinged for TFV8 Baby V2 Tank. It comes with 3 colors and 3 different coil resistance. 3 pieces each pack. 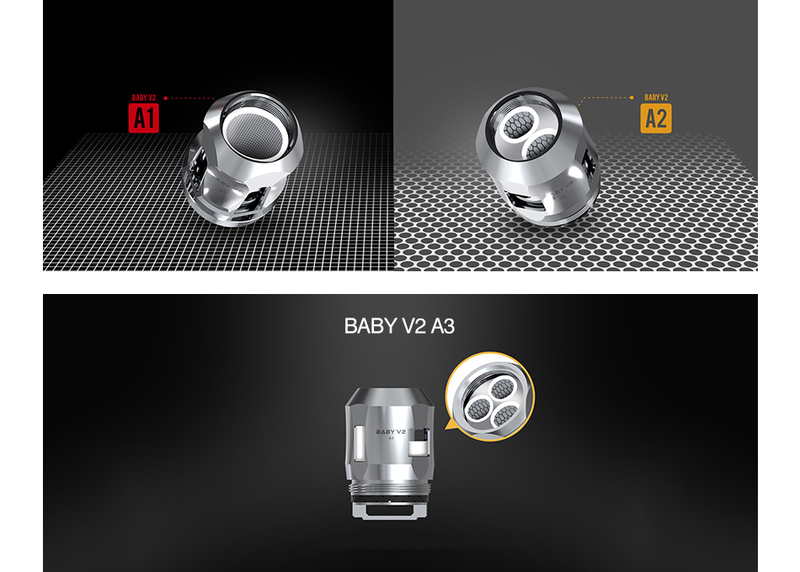 It is compatible with TFV8 Baby V2 Tank and SMOK Species Kit.